alaTest on kerännyt ja analysoinut 87 arvostelut tuotteelle KitVision Edge HD10. Keskimääräinen antama arvosana tälle tuotteelle on 4.0/5, verrattuna keskimääräiseen arvosanaan 4.0/5 kategoriassa Videokamerat. Me analysoimme käyttäjien ja ammattilaisten antamia arvosteluita, tuotteen ikää ja muita seikkoja. Verraten muihin tuotteisiin kategoriassa Videokamerat, KitVision Edge HD10 on saanut alaScore™-arvosanan 86/100 = Erittäin hyvä. Als er twee soorten audiotoestellen zijn die altijd al mijn fascinatie hebben gehad, dan zijn het versterkers en digitaal/analoog-converters. Versterkers al veel langer, maar dat komt omdat de dac pas jaren later op de markt verscheen. i got this camera over a month ago and use it on top of my rc plane. the pictures are very good ,the price is very very good . The quality is as good as the more expensive brands cannot go wrong with this item. We use it for motorsport so is durable. 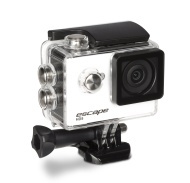 This action cam is great robust and great quality. The camera is easy to use and picture quality is fantastic. There is a great selection of accessories. Despite my dislikes, considering the big price difference to their competitor there's no contest. You also get a bundle of accessories.